1. Must have a 90 average in the course. 2. Must not have more than 4 attendance entries (includes unexcused tardies, excused absences, unexcused absences, check-outs, and checkins) in that course. 3. No more than 1 discipline referral for any reason during that semester. 1. Must have no grade lower than 70 in each class you are exempt. 2. Must have no attendance entries (includes unexcused tardies, excused absences, unexcused absences, check-outs, and check-ins) in that individual class. 3. No more than 1 discipline referral for any reason during that semester. Absences due to school related functions approved by the administration do not count against exemption. Transcripts can only be done between 8:00 am - 12:00 pm in the attendance office. You must have correct change to purchase ($5.00). We will not be able to make change. It is time to register for Southern Union’s 2018 PreView Day. This is a great opportunity for you to learn more about what Southern Union has to offer and to potentially earn a one-term scholarship. The event will be held on the Opelika campus Friday, February 2, 2018. Registration starts Friday, December 15 and should be done on the school website. Visit the ‘Prospective Students’ tab to complete registration for the event. SPACE IS LIMITED! This year we are offering a great opportunity to recognize our seniors. We will be offering picture banners to hang at the field during games. The banners will be 2 ft x 3 ft and hang on the field on a 4 foot fence. These will be put up and taken down each week to prevent theft and vandalism. These banners will be yours to keep after the season is finished. We saw these at other schools last year and they looked great. Cost for each banner is $40 and school sports picture will be used. This is open to all football, cheer, band, volleyball & cross country that are SENIORS. Please contact Mrs. Kim Bonner at k.bonner@eawsfd.com for information. All orders are due August 12th. If you are a freshman, new student, or past student who would like to have a little assistance finding your way on the first day of school, feel free to look under School Documents and you will find the two maps. Students at VHS will select and use media and technology to access, organize, create, and communicate information for solving problems and constructing new knowledge, products, and systems. Students at VHS will access, evaluate, and apply information efficiently and effectively from a variety of sources in print, non-print, and electronic formats to meet personal and academic needs. 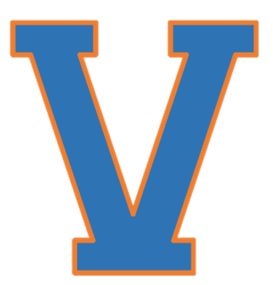 Students at VHS will apply technological and information skills to issues of personal and academic interest by actively and independently seeking information, demonstrating critical and discriminating reading, listening, and viewing habits, and striving for personal excellence in learning and career pursuits. Students at VHS will demonstrate the ability to work collaboratively in teams or groups, use information and technology in a responsible manner, respect intellectual property rights, and recognize the importance of intellectual freedom and access to information in a democratic society. Take I-85N to Exit 77. At the top of the exit ram turn right onto Fob James Drive. Go to the second traffic light and turn right. For FANS ONLY take a right at the first light at Crest Club/Vistas Apartments . Stay on this road and you will come to a large parking lot of the main gate. Do not turn into the Community Center parking lot. For team, band, cheerleaders buses, take a right at the second light. Keep going straight until you see the parking lot behind the field house. Once you get on Highway 50 stay straight until you come a the first traffic light in Huguley. Turn right and continue straight over I-85 onto Fob James Drive. After passing the waffle house turn right at the second traffic light. For FANS ONLY take a right at the first light at Crest Club/Vistas Apartments . Stay on this road and you will come to a large parking lot of the main gate. Do not turn into the Community Center parking lot. For team, band, cheerleaders buses, take a right at the second light. Keep going straight until you see the parking lot behind the field house.